It’s been 22 years since Con Te Partiro was re-recorded as Time To Say Goodbye with Sarah Brightman. 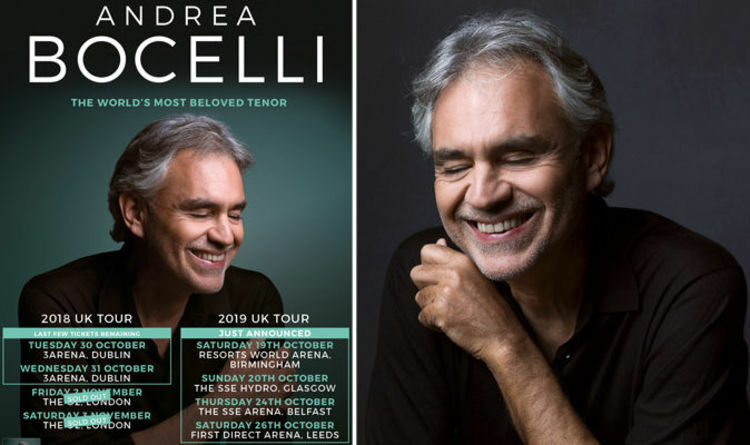 The global smash made an international superstar of the Tuscan tenor and he hasn’t slowed down since. Especially when much of the opening 45 minutes was devoted to arias like Massenet’s O Souverain and an extended passage from Gounod’s Rome et Juliette. Finely sung all, with adequate support from South Korean soprano Sumi Jo, but lacking much impact or connection without context, staging or extensive knowledge of the respective works. Her ravishing solo of Shoulda Woulda Coulda was a delight and her duet with Bocelli on Elvis Presley’s Can’t Help Falling In Love blended their voices like velvet and silk. However, I don’t think anyone was quite prepared for her range on the epic poperatic Canto Della Terra where she matched Bocelli note for note. Spines were tingled across a spellbound stadium. Why she hasn’t had a bigger career continues to bemuse me. Andrea’s dashing son Matteo also made a big spash with his new UK fanbase on a lovely rendition of Fall Into You from the current Disney blockbuster The Nutcracker and the Four Realms. It looks like it won’t be Time To Say Goodbye for many more years to come. Andrea Bocelli’s new album Si is out now.